Many people wonder whether or not we have the true teaching of the Bible today as it was originally given. Some suspect that the Bible message has been corrupted over the years. Are these doubts valid, or is the Bible still a faithful revelation of the will of God? Do we have the true teaching of the Bible as it was originally given? Has the Bible message been corrupted over the years, or is it still a faithful revelation of the will of God? In the first place, God promised He would preserve His word for future generations. In 1 Peter 1:23, He said that we are born again “by the word of God which liveth and abideth forever.” Again verse 25 says, “the word of the Lord endureth forever.” We can be sure that the Bible has been accurately preserved because God promised to protect it by His divine power. 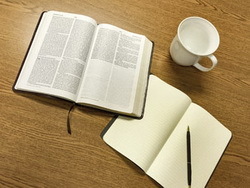 In order not to leave us in doubt, God has given us an example of His ability to preserve the Scriptures. The example is the Old Testament. When Jesus lived, parts of the Old Testament, as used by the Jews, were nearly 1500 years old. Did Jesus believe that these Scriptures had been corrupted over the centuries, or did He rely on their accuracy? Jesus often disagreed with the teachings of those Jews in other matters, so we can be sure He would have informed them if there were errors in their Scriptures. But if God so completely preserved the Old Testament 1500 years to the time of Jesus, surely we can be confident that He has also kept His promise to preserve the whole Bible up to our day. Yes, we do have the inspired word of God today.